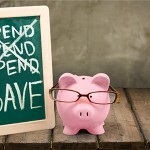 (TNS)—When it comes to teaching children about the value of finances and saving money, the earlier you can do so, the better. It’s important to start them out as young as possible, since it instills in them good money skills, building a foundation of financial responsibility that can last into adulthood and a lifetime of smart decisions. However, 74 percent of parents are seemingly reluctant to talk to their kids about money matters, according to Forbes. “Try having these conversations with your children early and often. It will make it easier for everyone and help them develop an understanding of finances at a young age,” says Brad Sherman, a financial planner with Sherman Wealth Management. Don’t hesitate to involve kids, especially when they get a bit older, when you’re sitting down to pay bills online or work on the monthly budget. This will give them exposure to the hands-on way you manage the family finances. Your young one might be years, or even decades, away from tapping into a 401(k) of their own, but it’s not too early to start them on the concept of contributions and matching dollars when they begin saving money.